How to keep in good health? A healthy diet is a key factor. If we share the same opinion, you may like to use SCiO, a pocket molecular sensor to scan you’d food, medicine, plants and more. 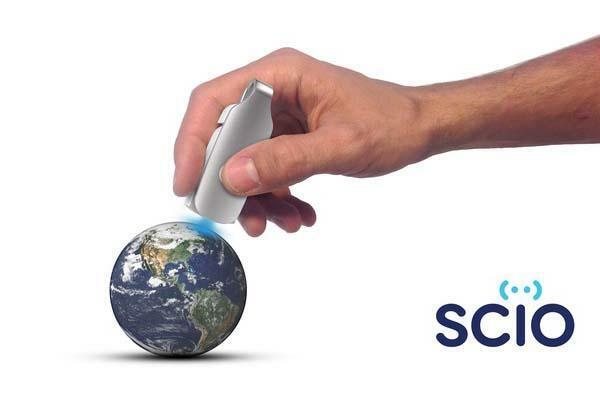 The SCiO is the world’s first affordable molecular sensor designed to provide us a handy way to close to the physical environment where we live in. As we can see from the images, the molecular sensor sports an ultra compact design for east to carry, and features a built-in light source and an optical sensor called spectrometer. Using them the molecular sensor can detect the result of the interaction between the illuminated light and the molecules in the sample, while built-in Bluetooth connects the sensor with your smartphone and allows it to send data to the smartphone in order that you can know the well being of your plants, the quality of your cooking oil, and get nutritional facts about different kinds of food like salad, sauces, fruits and etc. You even can use it to authenticate medications or supplements of analyze soil or hydroponic. The team of SCiO is raising fund via Kickstarter. You can pledge $199 to get the pocket molecular sensor. If you need it, jump to Kickstarter official site for more details.